Hi guys! I’ve been wanting to post about shoes for a very long time now. 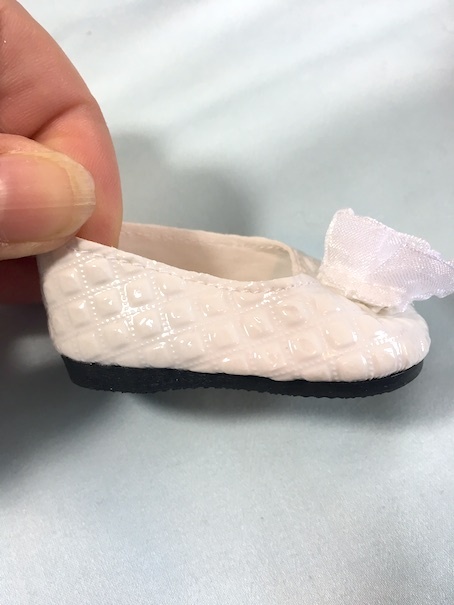 We buy A LOT of doll shoes, and recently I had someone ask about my doll shoe suppliers. 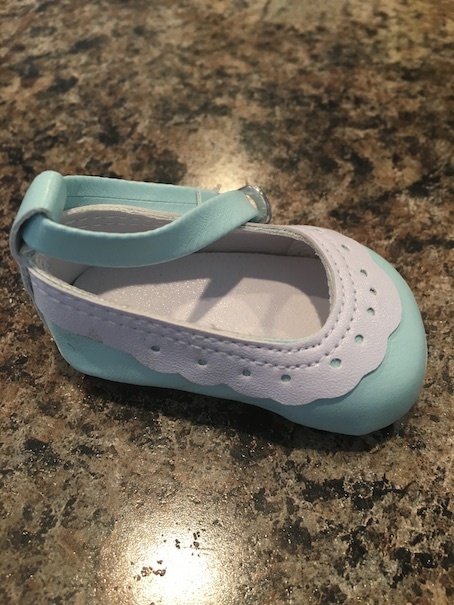 Well, we get most of our doll shoes from eBay, more specifically, China. Dun dun dun! LOL! Just kidding. Actually ordering from China doesn’t have to be scary. 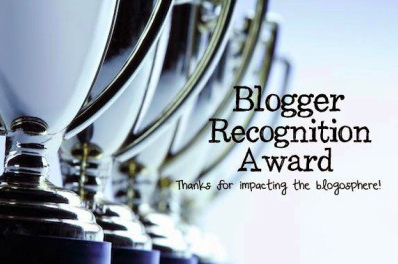 It isn’t so much the provider that matters, but the product. Most of these vendors are selling the exact same products anyway. However, not all doll shoes are created equally, so it is in your best interest to know the differences. 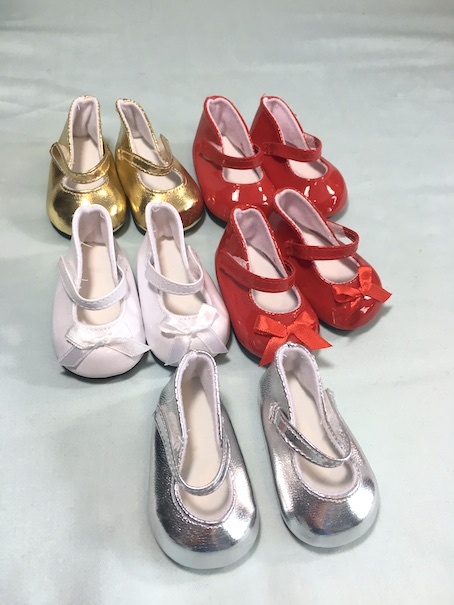 When it comes to buying doll shoes from China, it is definitely difficult to determine if what you are going to receive is a quality product. They usually just have stock photos, and no real life close ups. 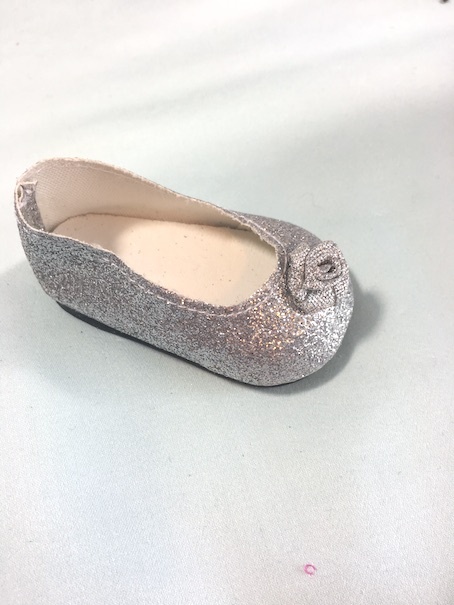 First up are these cute little ballet flats with the ankle strap. You guys, these are everything that I want in a doll shoe! They are sturdy and stitched well. They have a leather inner sole lining, and a stiff toe. This means that they don’t get squashed all to bits during shipping. More on that later. Double stitching through two layers!! Most happily, no craft foam sole. 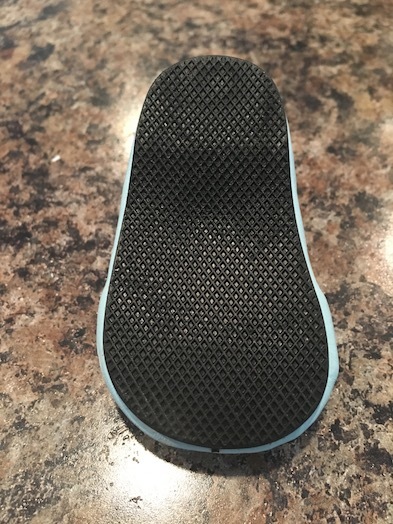 This sole is sturdy rubber with a good grip. 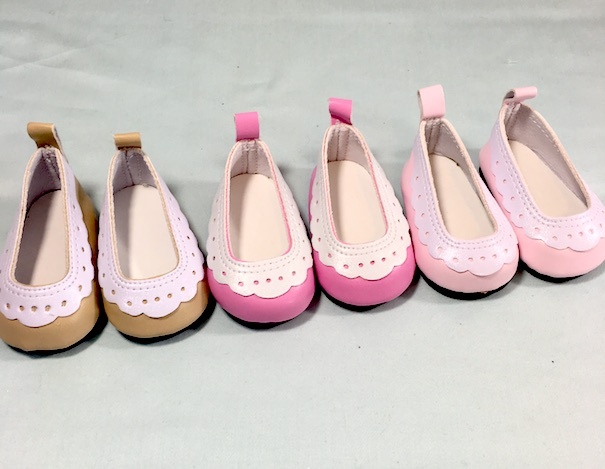 When these shoes arrived, we were so pleased with them that we just had to order them in every colour! 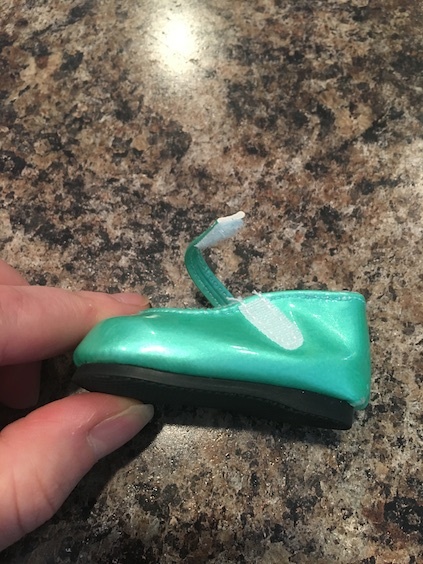 Okay, once I realized that sturdy rubber soles could be had, I started to do some serious doll shoe searching. 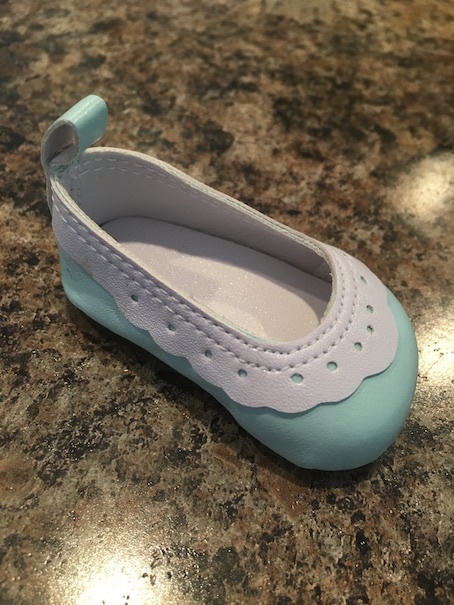 Don’t get me wrong, I don’t mind a craft foam sole, but I prefer the solid rubber because it gives the shoe a bit of weight which helps the doll stand easier. 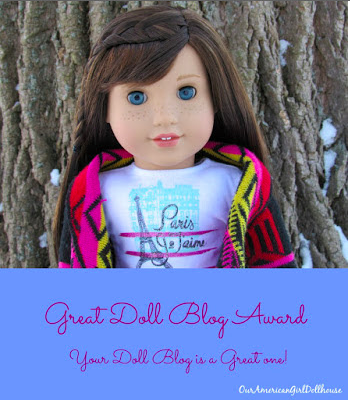 This is important for doll photos. Again these shoes are equipped with a sturdy rubber sole, the same one as the last ones. The difference is these are lined in a white fleece fabric. This makes the shoe that much more sturdy. 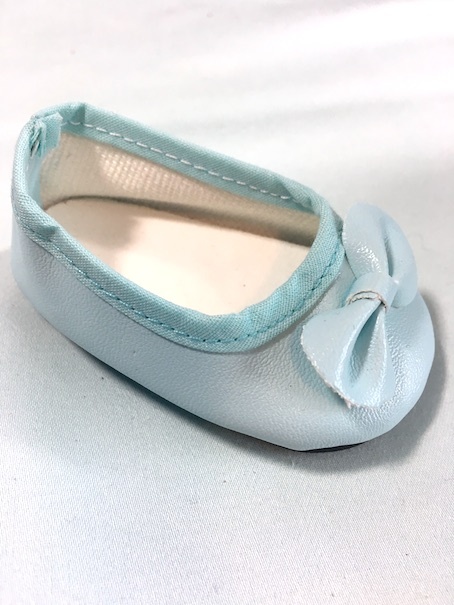 Some of these kinds of shoes come with little bows on them if you like that style. Very cute! We ordered a purple pair and a black pair too, but they never arrived. What to do if your international item doesn’t show up: Luckily on eBay if you don’t receive your item, you can contact them, and they will handle getting a refund from the seller. The seller will generally honour a request for a refund for an item that was never received. Next up are the ballet flats. We can never have too many of these but you need to know which ones to order. All of the above have the same sturdy rubber sole as the rest. That was an immediate selling feature for me. 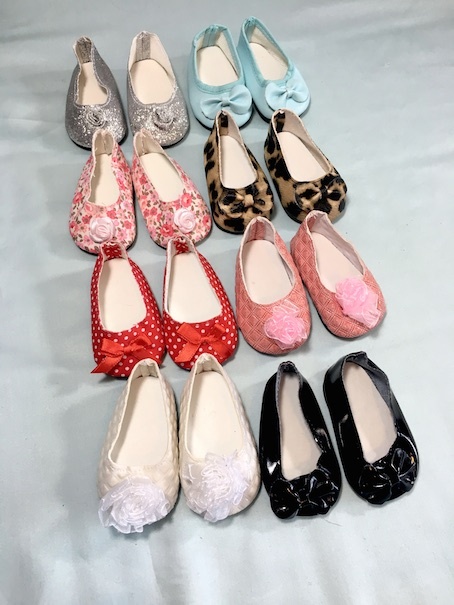 However, just because the sole is the same does not mean that every one of these ballet flats has the same quality structure. First let’s look at the vinyls. These are my favourites. These two pairs of shoes are the same, just a different colour. They are single layer vinyl with no lining, but I don’t think that’s a deal breaker. I love the etched diamond crosshatch pattern. It is a raised textured print, and the vinyl is shiny. The only downside to these shoes is the sheer organza flower. It tends to get pretty squashed in shipping, and I feel like after a lot of play, it might come unraveled. 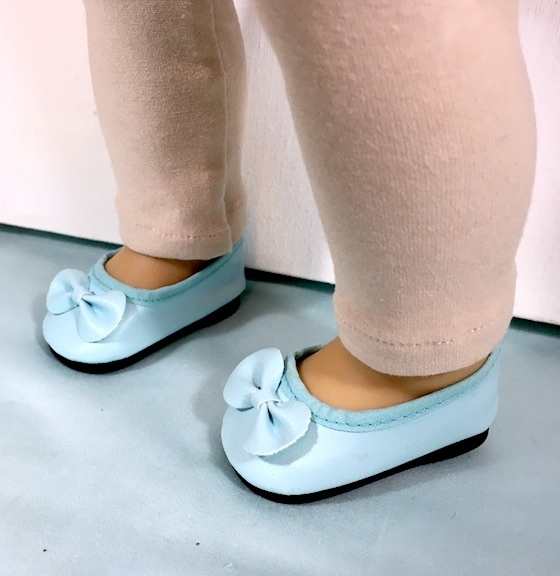 Still, these shoes are a good fit for the dolls and they are pretty sturdy with that rubber sole. I was surprised by this shoe because when I saw pictures of it, I thought it was made of fur. It’s not fur, but it’s not really vinyl either. It’s more of a flexible rubbery material. 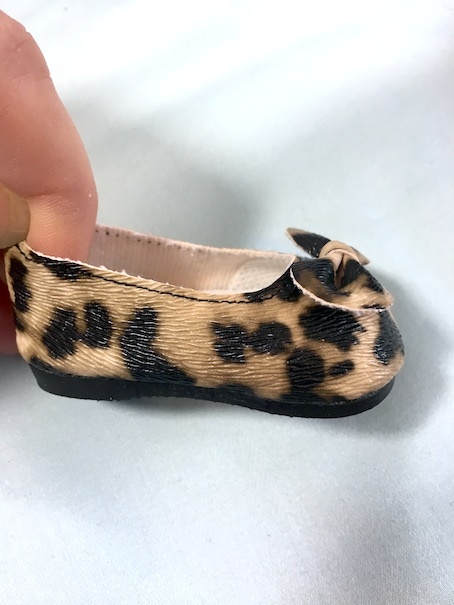 All of the lines you see in the photo above are tiny grooves which give these shoes an interesting textured look, almost like fur. I LOVE these shoes. They are so cute, incredibly sturdy, and they fit perfectly. The last vinyl shoe got very squashed in shipping. I think these shoes could have been made better with a lining of some sort. The black vinyl on it’s own is a bit thin for my tastes. I do like this shoe on the doll. It’s easy to get on, and it doesn’t look squished at all, Off the doll however, it is very difficult to shape these back to life. I think the sturdy rubber sole is the only thing that saves these shoes. They also have a sturdy inner sole. All in all, if you want a cheap black ballet flat, these do the trick. Both of these shoes are similar in make and quality. 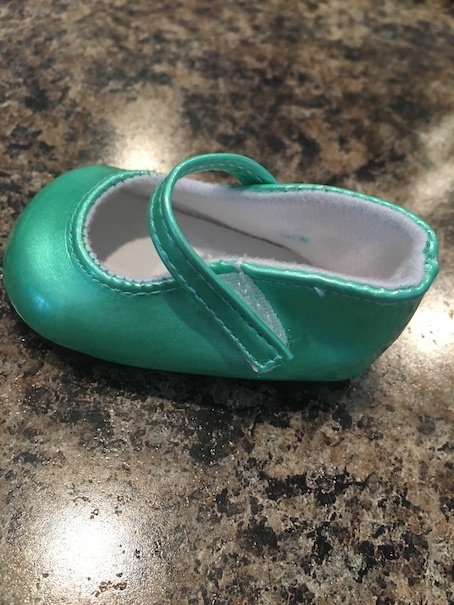 The fabric is thin and unlined, but it is kind of stiff so it holds up, and it is not difficult to put on the doll’s foot. The inner sole is sturdy, and the rubber sole is the same. I really like these shoes. I find them to be dainty, but still really sturdy. They fit the dolls well, and even though they came pretty squished from shipping, they bounce right back to life. The last pair of shoes that I want to talk about today are these blue beauties. I love these. They remind me of Grace Thomas. 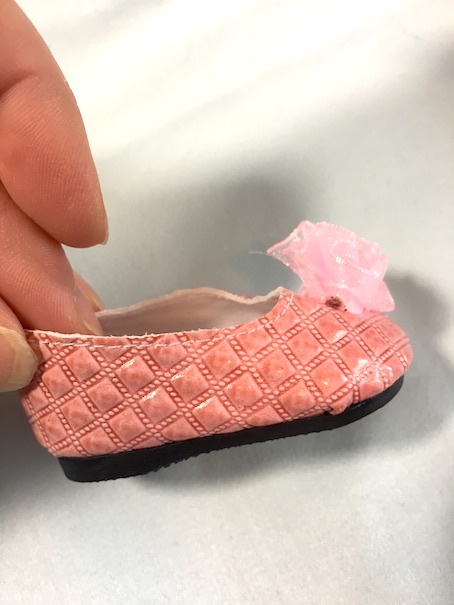 One last word about these doll shoes: None of these shoes bleed their colour onto the dolls. That is important as I know that some cheap doll shoes do. All of these have white or neutral colours inside, so there is no risk of colour transfer. So there you have it! 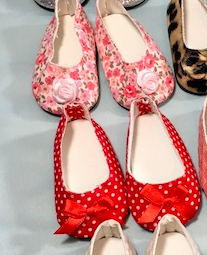 I recommend most if not all of the doll shoes we reviewed today so bid with confidence! 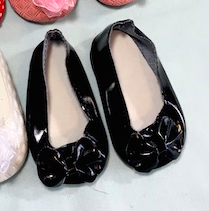 I always bid on doll shoes instead of paying Buy It Now prices, because I can usually land a better price, even if it’s only a few cents less. I hope that you enjoyed! Stay tuned because we will be reviewing more of our doll shoe madness soon! That’s some collection! Thank you for the tips. Wow, those shoes are GORGEOUS!!! I love the Grace-like ones!!! Wow!!! 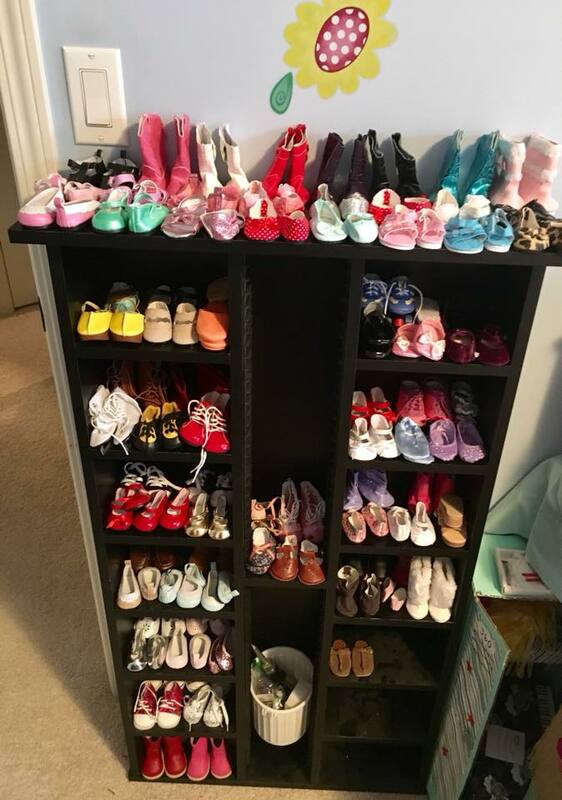 That’s a lot of shoes! 😀 XD They are so cute!